If you are planning a vacation to Ocracoke this season, you have several opportunities to enjoy island night life. Mark your calendars now. On Wednesday evenings at 8 pm, beginning in June, there is always the delightful Ocracoke Opry at Deepwater Theater featuring local musicians (including our high-energy Molasses Creek band and other performers) and storytellers. 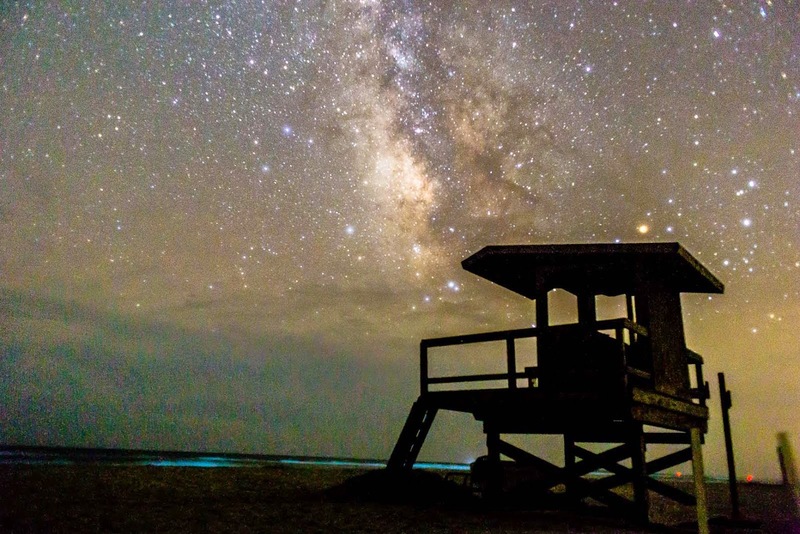 Another opportunity this year is a National Park Service program on "the night sky and naturally glowing marine life." This NPS program is scheduled for every Wednesday from 05/27/2015 to 09/02/2015, at Ocracoke's Lifeguard Beach from 8:30 PM to 9:30 PM.